During his 50 years as a priest, Father William Munshower has marched with Dr. Martin Luther King Jr., supporting the civil rights movement. He has strolled through the hallways of schools in the parishes where he was the pastor, stopping to talk and joke with children before he made his way to the eighth-grade classroom where he taught the students the 23rd Psalm. On St. Patrick’s Day, this priest who often has a glint of Irish mischief in his eyes usually can be found at the parade in downtown Indianapolis, one of his regular stops in a full day of celebrating his Irish heritage at different Irish establishments where most people know his name and smile when they see him. He is a priest who has been known to walk in protest against abortion and the death penalty, a priest who has traveled around the archdiocese to cheer the sports teams of his parish schools. In his 50 years as a priest, Father Munshower has spent nearly all of his time in parishes, including St. Paul Parish in Tell City, St. Agnes Parish in Nashville and Holy Spirit Parish in Indianapolis. 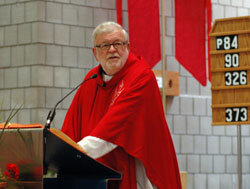 He served as the pastor of St. Thomas Aquinas Parish in Indianapolis from 1994 to 2006. Since then, he has worked as the chaplain of Cathedral High School in Indianapolis, the school where his journey to become a priest essentially started. Now, it’s Father Munshower’s turn to help shape the direction and the faith of students at Cathedral. 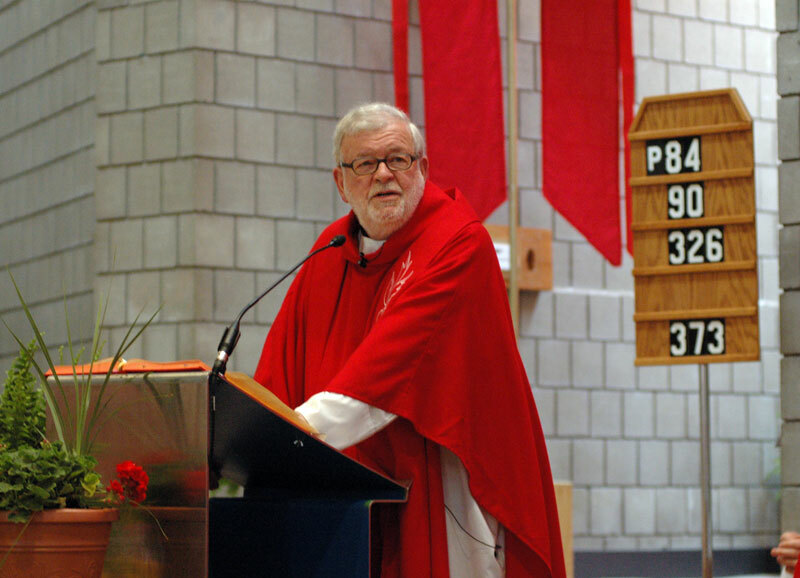 He also wants to convey to young people that their faith should be a joyful experience—the kind of experience he has had personally since returning to Cathedral. Creating that sense of community has always been at the heart of Father Munshower’s priesthood, says his longtime friend, Kitty Jenkins. His giving doesn’t stop there. Favorite Scripture verse: “This is the day the Lord has made; let us rejoice in it and be glad” (Ps 118:24).